Saintala, a taluk located at about 35 km south of Balangir-Titlagarh road in Titlagarh sub-division of Bolangir district, Odisha, India, has immense historical and archaeological importance. Saintala is the new name of 'Sainyatala' which means Military Camp. The temple of Chandeswari Thakurani is located here. Goddess Chandi in Mahishasuramardini form is installed in a small mount. The broken doorjamb with figures of Ganga and Yamuna and Dasavatara (Ten incarnations) image of Lord Vishnu are among the remarkable sculptures unearthed. The site ascribed to the early Somvansi period is an interesting spot for archaeologists and historians. There is an ordnance factory at Badmal that comes under Saintala block. It is located at an elevation of 182 m from MSL. National Highway 201 passes through Saintala. Saintala has many schools like, Panchayat Samiti High school (P.S. High school), Govt. Girls School (SSD) also known as Kanyashram, Saraswati Sishu Vidya Mandir, Govt. Primary School, Govt. Upper Primary School, Saintala Public School, and a College named as Panchayat Samiti College constantly supporting higher education around Saintala. The village is also a hub for singers, dancers and musicians. Established organisation like Sura Sangeet Kala Kendra & Radhadevi Sangeet Vidyalaya has been promoting the cultural activities around Saintala . The State Bank of India & Balangir District Central Co-operative Bank are the two important bank supporting the people of Saintala. The temple of Maa Chandeswari Thakurani is located here. Goddess Chandika in Mahishasuramardini form is installed in a small mound. In the temple, there are images depicting the ten incarnations of Lord Vishnu... one of the best place to visit near it is ranipur jharial which is historical site. The people of Saintala celebrate all the major festivals of western Orissa, Nuakhai, Durga Puja, Diwali, Kumar Purnima or Gaja Laxmi Puja, Manabasa Gurubar, Sabitri brata, Makar Sankranti, Bishuba/Pana Sankranti, Dola Purnima or Holi, Gamha Purnima or Rakshya Bandhan, Kartik Purnima, Nabanna or Nuakhai, Pua jiuntia, Bhai jiuntia, Janmastami, Ram Navami, Saraswati Puja, and Ganesh Puja . Some festivals are unique to the place, like Navratri Durgapuja, Which is celebrated for Nine days long and Bhai jiuntia is being celebrated during this time on astami tithi. In "Bhai jiuntia" sisters pray for their brothers long life and tie a thread called "Jiuntia". Nuakhai is also an important festival which is celebrated on Panchami tithi of Bhadraba sukla pakshya. Among all festivals Nuakhai is the main festival of the area. This place is geographically located in southern Plataea, is surrounded by evergreen forests, hills, rivers flowing across and farmlands which create very beautiful scenes to a traveler. Other places to visit are picnic spots, river banks, farmhouses and orchards in the country-yard. 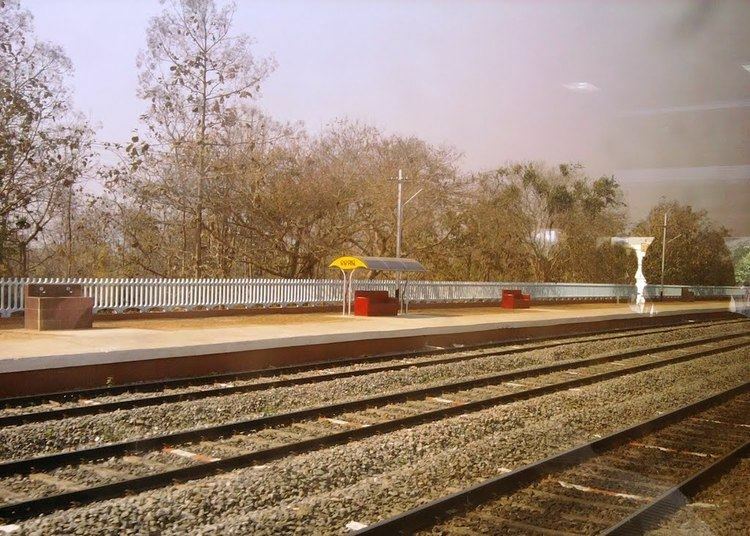 Saintala is well connected with both roadways and railways. National Highway 201 passes through it and also other roads connects it with nearby villages. 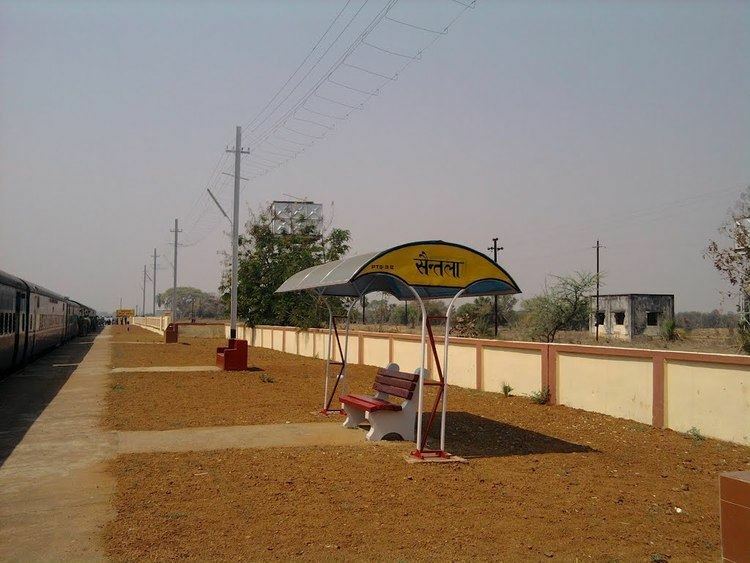 Saintala Railway Station is located about 4 km from the village. Saintala has a total population of 5,431 including 2,418 females and 3,013 males as per the final results of the Census of India 2011. This is only 0.33 per cent of Balangir's total population. Saintala has an average literacy rate of 95.68% which is higher than the national average of 74.04%; male literacy is 97.89%, and female literacy is 92.98%. 12.96% of population is under 6 years of age. The total population includes 93.78% Hindus, 3.42% Christians, 1.07% Buddhists, 0.85% Muslims, 0.53% Sikhs, 0.06% Jains and 0.3% others.